My favorite part of the Norwegian Getaway was the ropes course during the day. The ropes course is the largest one at sea and is part of the 3-story sports complex which also has miniature golf, a rock climbing wall and a bungee trampoline. 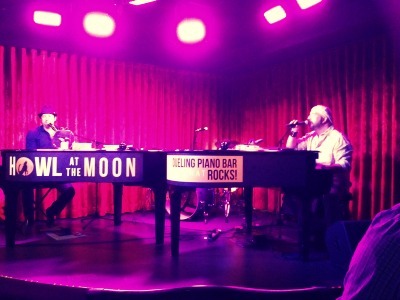 At night, the Howl at the Moon dueling piano bar was my favorite spot. My favorite parts of the Norwegian Getaway were the various dining venues! There was something for everyone and it was all delicious! I can’t wait to sail on her again and try the things I didn’t get a chance to try! My favorite part of cruising on the Getaway was hanging out at O’Sheehan’s and playing skee ball and shooting basketball hoops, even though I wasn’t very good at basketball. 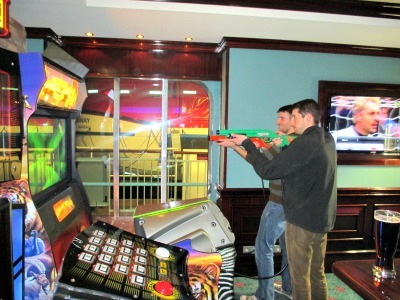 I had a blast playing all the games at O’Sheehan’s – it was like a glorified arcade with skee ball, basketball, air hockey, bowling and a few video games. At night they also have a great live smooth groove band that plays in the atrium so you can watch a live performance and dance to the music all while playing games; it’s where I found myself spending most of my free time. Also, I found the beds to be very comfortable which made for a great night’s sleep after an exhausting day aboard the ship. My favorite part of the Norwegian Getaway was the Illusionarium, the magic show that features a domed roof with a video screen. During the performance I attended I even got to go on stage and I still don’t know how the illusionist did his trick. It was pretty awesome! My favorite parts of the Norwegian Getaway were the shows! They were fabulous! Legally Blonde was adorable, fun and extremely entertaining. Burn the Floor was incredible! The dancing was amazing and the dancers are incredible. It makes you want to get up and do the pasa doble. 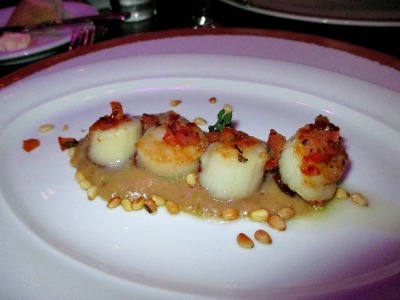 My favorite part of the Norwegian Getaway was the spectacular cuisine! We had over 16 venues to choose from, where you can have anything from fresh pastries to French escargot, sizzling steaks to sensational sushi. The value-added specialty restaurants and the dining establishments included in your cruise price were all top-notch. I do have to say that one of the simplest bites I had was the best… the crunchy and cream-alicious lobster tail at Carlo’s Bakery of “Cake Boss” Buddy Valastro fame. It’s a must-try! My favorite part of the Norwegian Getaway was the hot wings at O’Sheehan’s! These little bites were unbelievably delicious and I had my fair share while onboard. My favorite part of the Norwegian Getaway was the specialty dining, especially Ocean Blue and Moderno Churrascaria. It was a mental battle saving room for my next meal. I also really enjoyed my spicy Sriracha mojito at the Sugarcane Mojito Bar. The bartenders put on a show of their own as they prepared guests’ drinks in a blur of shaking and mixing – it’s a wonder they didn’t knock each other over. 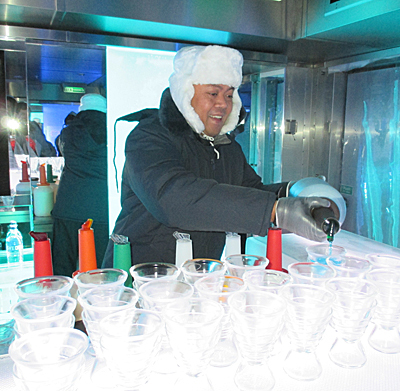 And speaking of drinking, I also enjoyed the Svedka Ice Bar, which was certainly a fun one-of-a-kind bar experience. Maybe not something you need to spend a ton of time in, but worth checking out if you’ve never been. As you can see, the Norwegian Getaway offers something for everyone, from the entertainment at the Illusionarium and the piano bar to the amazing variety of food, including simple treats like hot wings and lobster tails. What are you most looking forward to trying on the Norwegian Getaway! 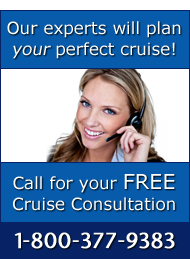 NOTE: The Cruise Web, Inc. received complimentary inaugural staterooms from Norwegian Cruise Line, which in turn were offered to the employees listed above. The views and opinions expressed herein are those of the contributors, and do not necessarily reflect the position of The Cruise Web or Norwegian Cruise Line.